Do you like marketing to cold leads? What about cold calling? Pretty sure the answer to that is a resounding ‘No,’ and your entire sales and marketing team may feel the same too. The truth is, direct marketing(calls, emails and letters) can come with an impressive return on investment. If you’re in a specialist niche market or can leverage something particularly unique about your business then there’s a high chance of success. If you want to see results from your direct marketing campaigns, in the form of leads and increased sales pipeline then get in touch today, the earlier we can start, the faster you could see results. There’s this huge problem at about 98% of businesses and it’s poorly managed data lists – that stat was plucked out of thin air but we stand by it. When your sales team starts a campaign or puts together one of those dreaded ‘call out days,’ there’s a very high chance that the data is inaccurate and if it is, your results are probably going to disappoint. Does that sound like a good use of time to you? 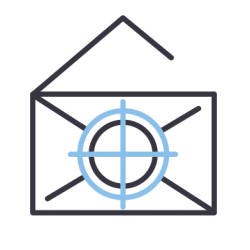 That’s where we start, building you the most up to date and accurate, targeted email marketing lists so your campaigns have a much higher chance of being successful. The correct contacts with a purpose built message. This is where we take care of the whole strategy for you. We’ll set up targeted campaigns and build your data lists especially. We’ll send emails, letters and calls as part of our MARKETING SPECTRE service. Your sales team will receive responses to campaigns, directly into their inbox – the prospect won’t know we’re involved. This is a premium service that delivers premium results – your business deserves that and you do too! During the process you will learn so much about your market, have an ever growing database of the correct contacts and be equipped to take your business to its full potential. Results can vary, it depends on your products/services and the need in the market. To give you an example, we put together a retail sector campaign for a water management company. It took 2 weeks to put together the data lists and start outbound contact. The leads started coming in one by one. So far, they have closed 3 opportunities, 2 x 3 year contracts and 1 x 5 year contracts. These opportunities were worth over 100k per year each and are 3 of the biggest supermarkets in the UK. We’re just setting up the next campaign, targeting a new sector, where we hope to get similar results. The amount of leads you can expect isn’t nearly as important as the quality of opportunities that you’ll get from them – that’s what we aim for. If you think your business could be a good fit for our direct marketing services, get in touch as soon as possible as we have VERY limited space. 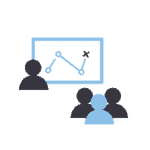 On top of the Marketing Spectre service, you can also benefit from regular workshops and training. In these workshops you’ll get the opportunity to sit down with one our team to assess your current strategies, improve them and gain new skills in direct marketing. If you want to see if we can fit you in, click the button below and suggest some dates for your workshops.